Even if you have the best security system in place, it’s critical to use the type of security camera lens that fulfills all your requirements, whether your surveillance area is large or small, near or far. 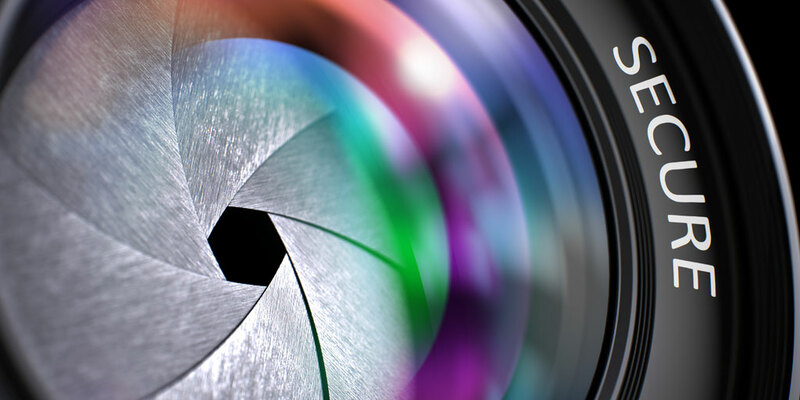 Rather than simply choosing one that seems a one-size-fits-all lens, the lens chosen for your business should always fit very specific parameters and fulfill very specific functions so that your efforts to keep your business safe and secure are effective. Knowing which security camera lens to install saves time and money as well as increases the likelihood for capturing what you intend. The focal length of a security camera lens – measured in “mm” – controls the distance that the camera sees. The most common focal length is 3.6mm, which allows roughly a 72-degree field of view. This focal length is effective for residential use as well as small-scale surveillance applications. The greater the focal length, the greater its distance of focus. The smaller the focal length, the wider its field of view. Field of View – or FOV – refers to the measurement of the width of an area that the lens sees. “Wide angle” refers to a smaller lens such as 2.8mm that produces wider pictures. With wide-angle lenses, smaller focal length details are more difficult to see. However, when capturing video in an area of a normal size rather than at a greater distance, a wide-angle lens is sufficient. Capturing smaller details such as a person’s face require greater focal length such as 16mm. Monofocal lenses are fixed lenses that focus only at a specific distance and have a single focal length. A monofocal security camera lens is generally cheaper than a varifocal lens, which allows for the manual adjustment of the focal length. For a more convenient method of adjustment, zoom lenses are similar to varifocal lenses with the exception that the focal length adjusts electronically and automatically adjusts focus to increase the definition on a given object in view. For this reason, zoom lenses are generally the more expensive choice. Manual iris and auto iris refer to how much light filters in through the lens. While manual iris is fixed, auto iris varies in the amount of light being filtered and is, therefore, more expensive. Manual or fixed iris security camera lenses are perfect for application in areas where the lighting does not change, but outdoor surveillance and other areas in which light variations occur generally require the use of an auto-iris lens. Most CCTV cameras list either 2/3-inch, 1/2-inch, 1/3-inch or 1/4-inch for their CCD image sensor. This measurement affects the field of view, and the larger the image sensor, the larger the camera’s field of view. Based on this measurement, the type of lens naturally follows the image format required by the type of CCD imaging device, as this indicates the maximum size it allows. If the size of the lens is too small for the size of the CCD, it produces a ring on the outside that blocks the outside of the picture. Aperture is the camera’s ability to gather light and is always measured in F numbers. The lower the F number, the larger the lens aperture and the more open the lens. This enables better light allowance through the lens and onto the CCD image sensor. The lower the aperture of the lens, the better it works in low-lit applications, as the lens adjusts to adapt to the lack of light and opens to allow more light and enable a higher degree of visibility. Lens mounts to a CCTV security camera are either C or CS mounts. Both the lens and the camera specify which they are, and many cameras allow for either C/CS mount. The difference between C and CS is the distance between the image sensor and the lens. Both video drives and direct drives refer to auto iris lenses, which allow for variations in lighting. Video drive lenses contain amplifier circuitry that allows the iris control to operate. Conversely, direct drive lenses do not contain their own amplifier circuitry and therefore require the camera to contain the amplifier circuitry. With our trusted reputation throughout Northwest Florida for providing and installing quality custom commercial security and business security systems, we at Ivanco, Inc. have designed security solutions for a wide variety of clients with a wide variety of needs. As a Platinum-level Hikvision dealer, we understand the capabilities of each security camera lens and offer our recommendations based on our clients’ needs and the areas they intend to secure. In using superior products, we are better able to meet any security challenges and guard against potential risks, regardless of the size of our clients’ businesses. We take pride in our work and know that we are providing the highest level of security every day and in every situation. Call the team of security experts at Ivanco, Inc. today to learn more about which security camera lens best suits your needs!